© 2019 Media Group Pte Ltd. All Rights Reserved. To say that Dubai is a major shopping destination is an understatement. 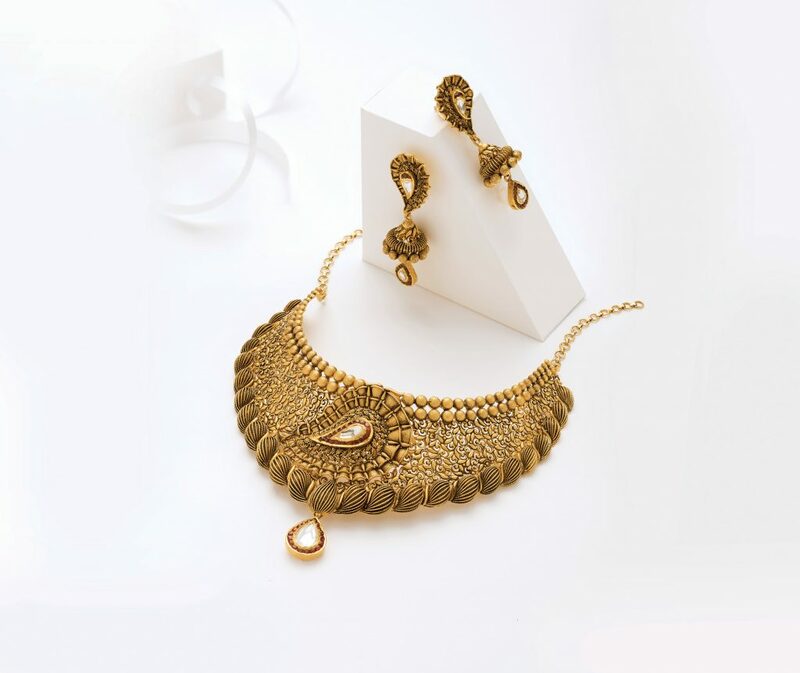 Every year, millions of tourists flock to the streets of this opulent city to shop for subtle additions to their jewellery collection, as well as for exclusive jewellery fit for grand occasions. 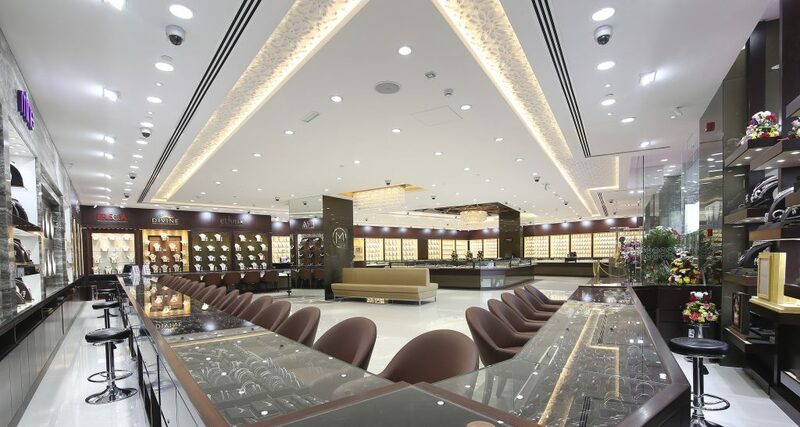 From its traditional shopping areas, like the Gold Souk and Meena Bazaar, to the glitzy luxury stores that line its larger-than-life malls, Dubai houses some of the most sought-after jewellery brands, as well as up-and-coming jewellers. 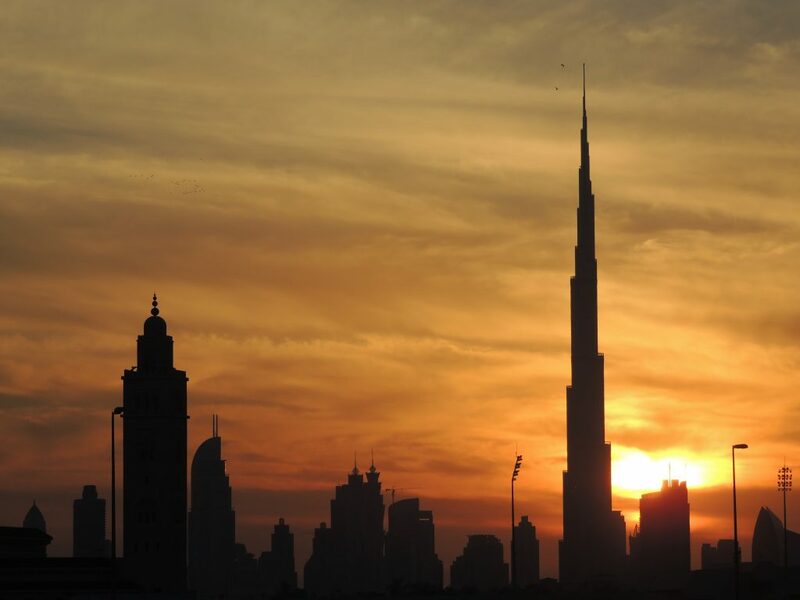 Dubai also attracts a huge number of tourists during its annual Dubai Shopping Festival, which takes place from December to February every year. Solitaire takes you on a walk down the lanes of Dubai’s three famous jewellery hubs, each catering to different jewellery lovers. Located in the heart of the prestigious Downtown, The Dubai Mall is the world’s second largest and most-visited retail and entertainment destination. First opened in November 2008, it quickly became the most visited building on the planet by 2011, attracting over 54 million visitors each year. Known to house the world’s most exclusive luxury brands from fashion, jewellery to beauty and entertainment, Dubai Mall is a paradise for all jewellery lovers. 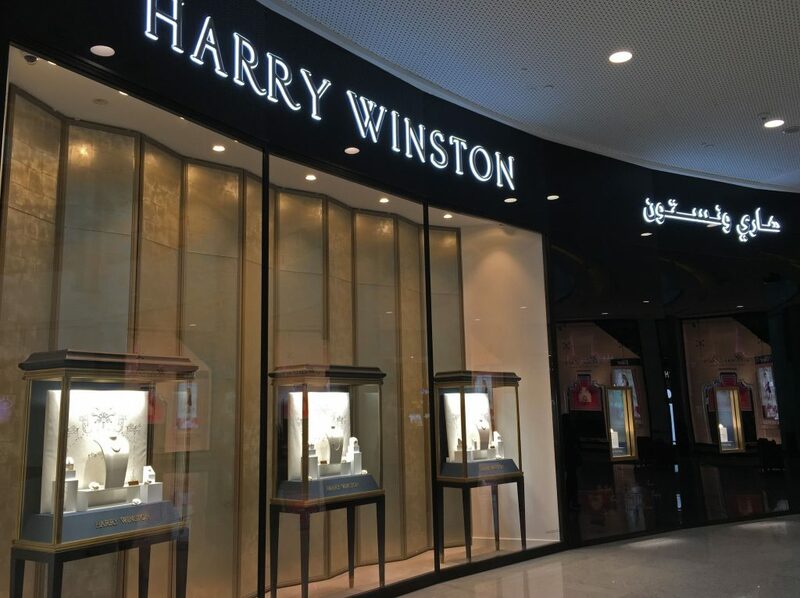 Their watch and jewellery section alone houses some of the biggest brands of the global fine jewellery industry from Graff, Harry Winston, Bvlgari, Chopard, De Beers, Van Cleef & Arpels, to name a few. 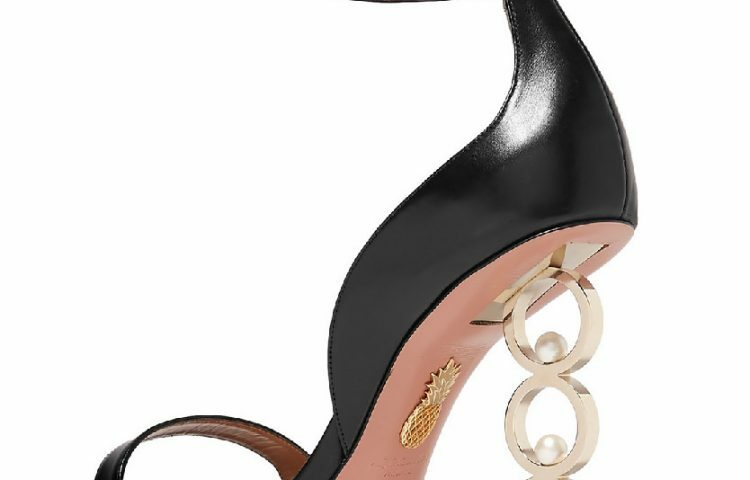 Catering to the richest of Arabs and royal families, the mall makes sure that all the latest collections that hit the runways of Milan and Paris each season reach these stores within days of their launch. 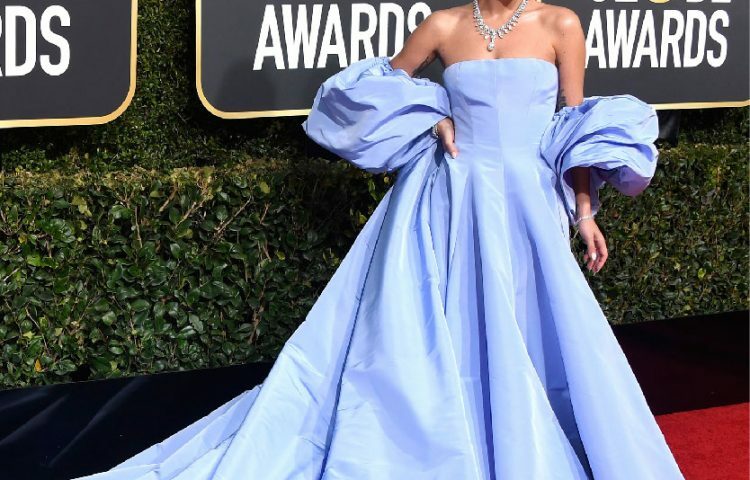 Take a stroll on the corridors, and you can be sure to spot a diamond-studded watch worth millions, or diamonds as large as 50 carats sitting casually in some of the windows. The Souk area adjacent to main jewellery and watch gallery is home to many more Dubai-based and international retailers and designers, who also wish sell their wares to this elite clientele who walks down these isles every day. A freezone for trading, Gold and Diamond Park established in 2001 was initially a hub for many jewellery trading and manufacturing companies. By 2011, and with an increase in the demand to buy directly from the manufacturers, led to the creation of the Gold & Diamond Park mall. 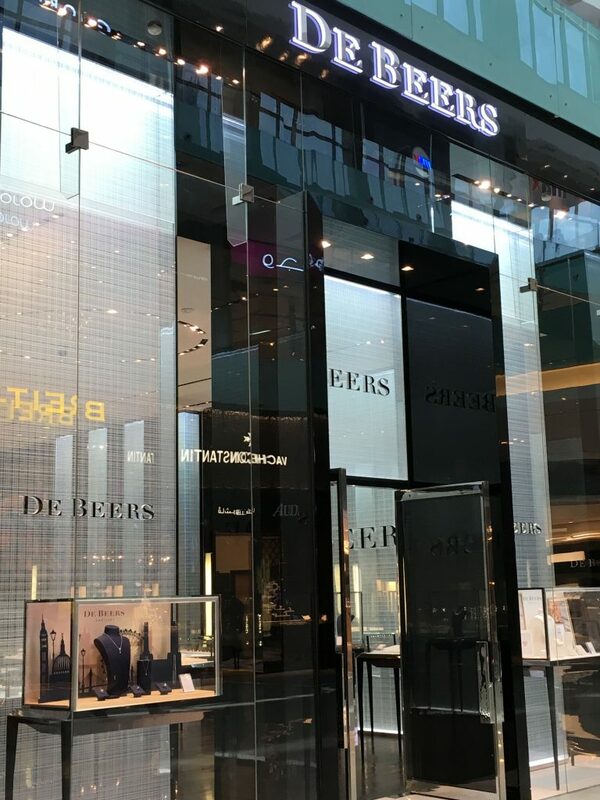 With its exceptionally convenient location on Sheikh Zayed Road, this air-conditioned alternative to the Gold Souk houses over 90 jewellery stores, specialising in diamond and coloured gemstone jewellery, consistently drawing residents and tourists in enthusiastic numbers. 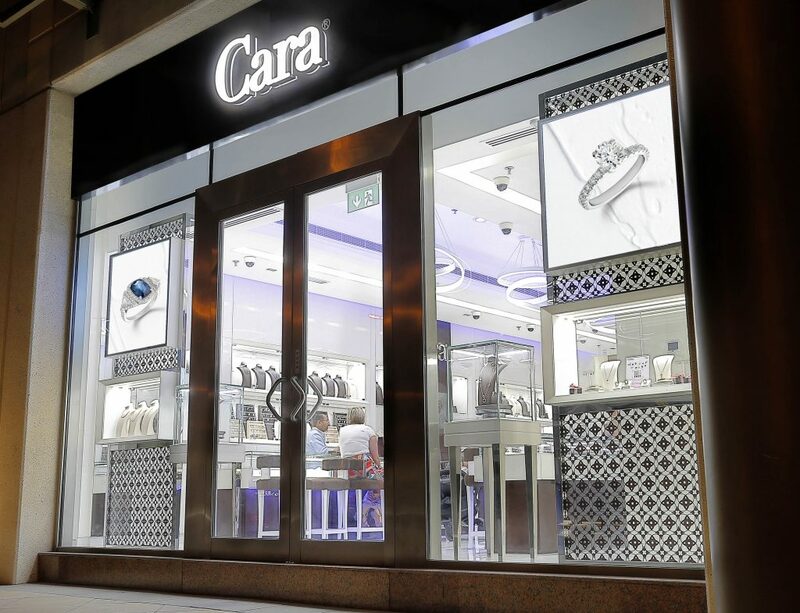 One brand that is not to be missed is Cara Jewellers. Owned by brothers — Kiran and Anil from India — Cara Jewellers was established in 2005 in the Gold and Diamond Park, and has multiple showrooms in the mall as well as all over UAE. 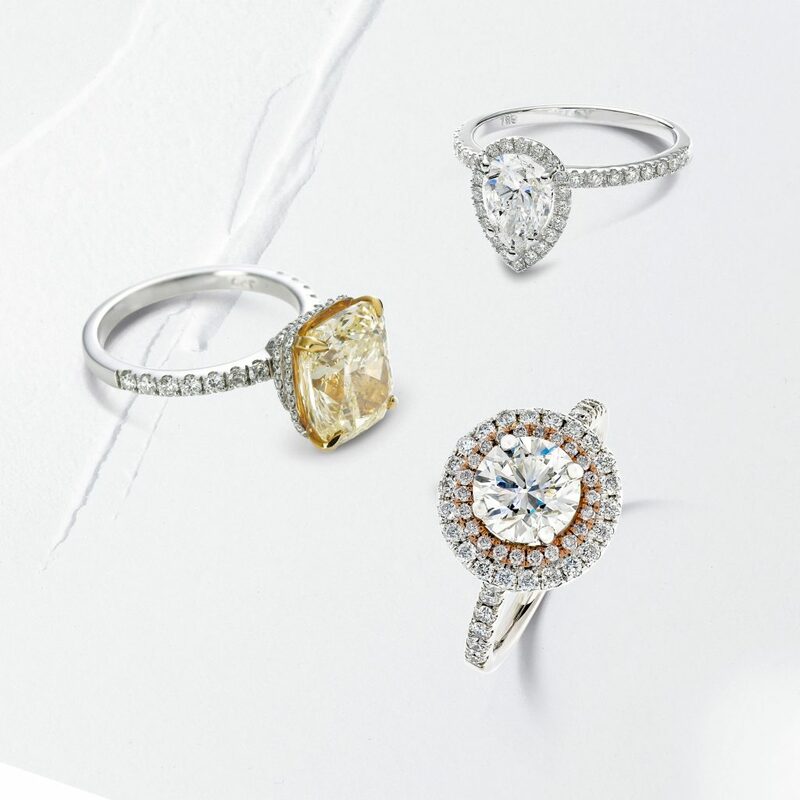 The brand’s passion lies in creating engagement rings that are available in all shapes, sizes, and colours. Classic in form but trendy in appeal, their products ooze flexibility and display minimal use of metal, highlighting diamonds and gemstones. 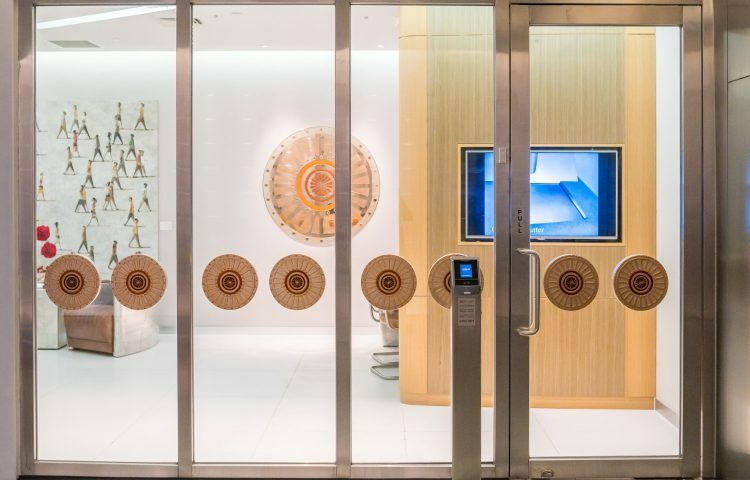 One of the main reasons for their popularity is the presence of their manufacturing facility within the vicinity, enabling them to offer customisation services to the level where customers can see their diamonds being set in front of their eyes. Located in the heart of ‘Old Dubai’ and started in 1900’s with a handful of jewellery stores, the Gold Souk is now an iconic and a must-visit market with close to 400 jewellery stores. The display windows often exhibit larger-than-life jewellery pieces that attract tourists from all over. One can find every kind of jewellery in the souk, from gold and platinum to diamonds. Fun fact: you rarely see anyone guarding the large amount of jewellery behind its regular glass shop windows. Spread across three lanes with a distinct wooden structure shade, many bigger retailers own multiple jewellery stores in the souk. One such retailer is the Malabar Gold & Diamonds, which owns four stores in the Gold Souk itself. 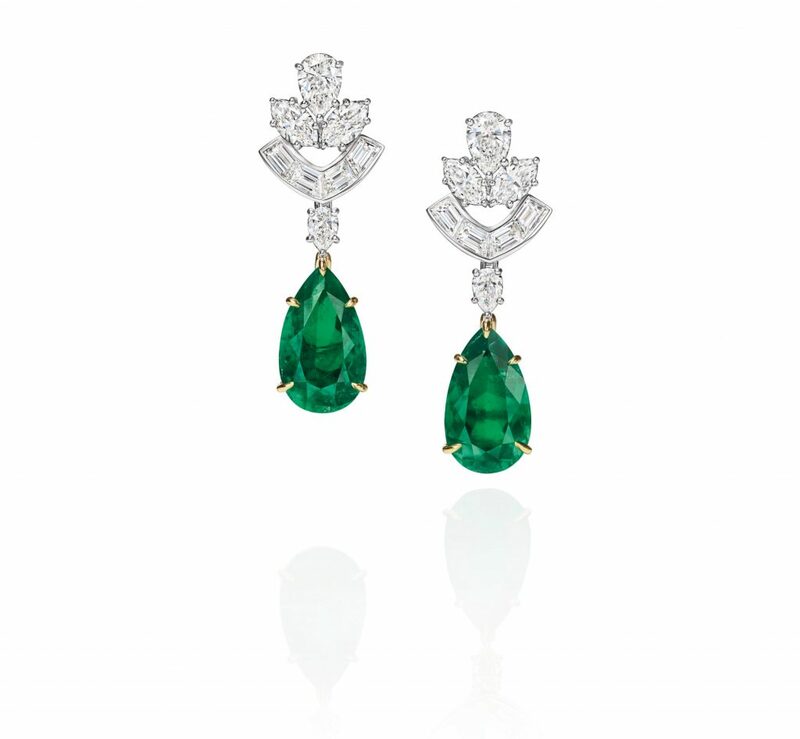 The group offers jewellery across all categories, from gold to high-end diamond jewellery to lifestyle pieces, which offer trendy and lightweight jewellery, catering to client across all ages and regions. Subscribe for the newsletter and stay updated with SOLITAIRE Magazine. Founded in 2002, SOLITAIRE is a well-established and most recognised women’s jewellery magazine circulated in the Asia Pacific region. It covers the best and latest news and stories on fine jewellery, luxury watches and fashion from around the world. 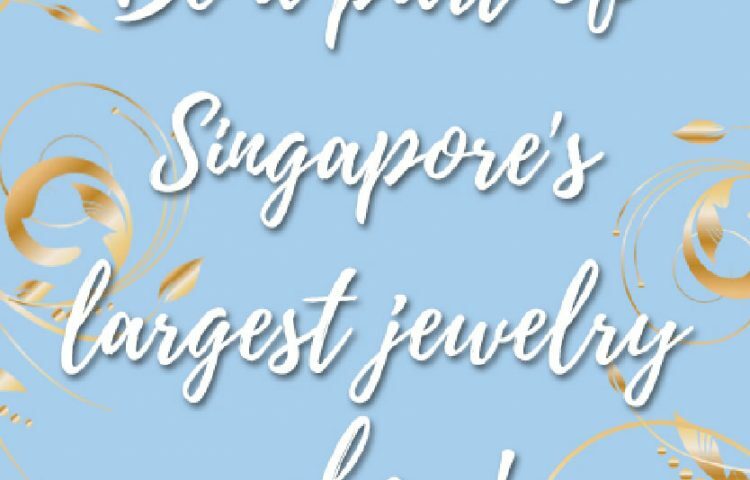 Published bi-monthly in Singapore, SOLITAIRE is an all-around guide for jewellery connoisseurs and collectors, providing insights into the exciting and glamorous world of high jewellery and the people that make it happen. With a focus on fine jewellery and ladies’ timepieces, SOLITAIRE Magazine is published six times per year and is followed by jewellery connoisseurs throughout the Asia Pacific region and the world.